A nice fella who ran in to some bad people. It was cut from the Roswell Daily Record. Unfortunatly the date was not noted. The year was 1976 or 77. 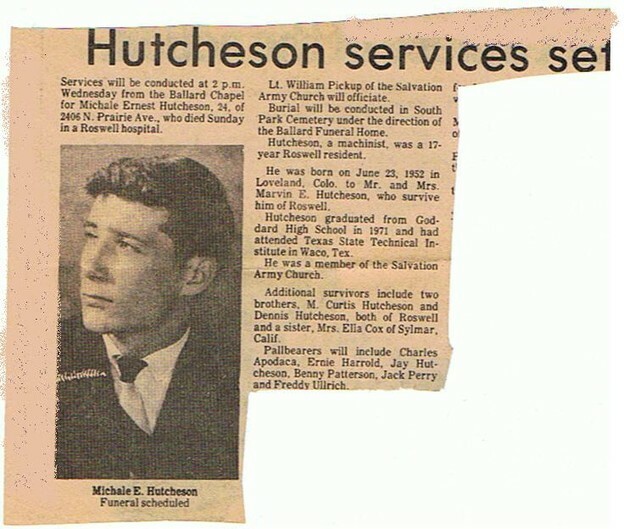 Hutch was a really nice guy, knew him through Ernie, Charley, and Jack, I know his passing really was hard on them.